Customers are taking this segment of packaging more seriously. Each year quantities grow significantly higher than the year before, and maybe should be on your list of growth ideas this year! Carmel Apples have been selling for years, but it's only been the last few years, that a fancy box has been used or requested with the introduction of Gourmet Apples. Now it seems to be the preferred way to package and sell Apples. 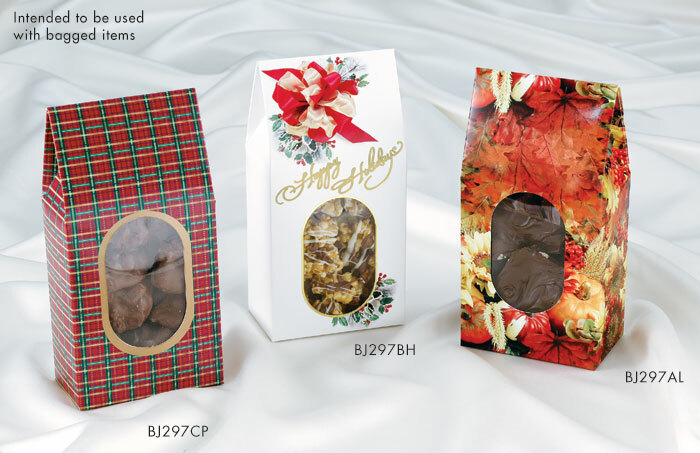 Impress Packaging looked at each season, and Holiday, and consulted with our customers. 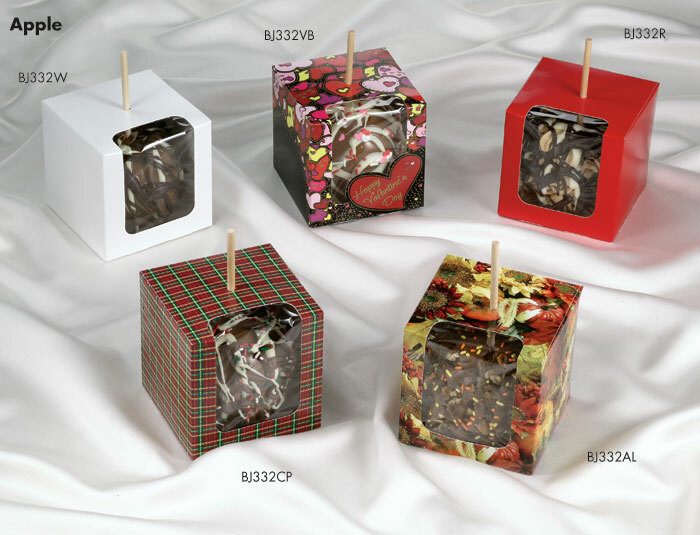 The results are a nice line of gourmet apple packaging that's hard to keep in stock, so order sooner and order a little more than what you used last year. Stay tuned for additional designs and one larger size to appear this year. Gable top boxes, which Impress calls "Gourmet Boxes", are doing even better than the apple box. 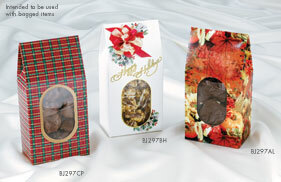 Most of our Gourmet Boxes provides a window opening in the front of the box to display your product. 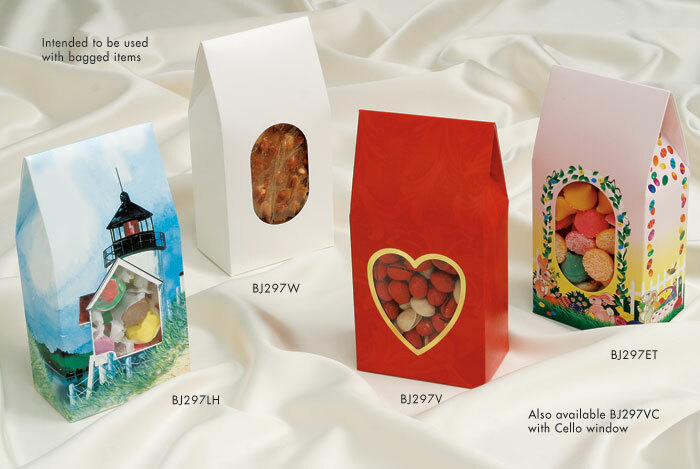 The gable top adds an impressive shape to the box that attracts customer’s interest and promotes sales. This box is easy to load and lock for increased production speeds. Keep this style in mind if you’re thinking of a new packaging idea and want your own custom Gourmet look. Impress will be happy to help; it's a lot easier than you think.